Science presenters often have stunts and acts that appear chaotic, funny and a bit haphazard on live stage or television. The truth is, for the majority of us, they are thoroughly rehearsed. 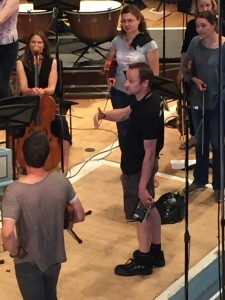 The result is that whenever you see a presenter doing something that appears seamless in a live performance, it is because it has been rehearsed. Yes, we rehearse. Even if it appears to be a first time for them or a surprise on stage, we’ve rehearsed it, especially if we are working with a fellow presenter or guest. To those of us in the industry, this is a fundamental part of our profession. Each demonstration or stunt is blocked through so that everyone involved knows what to expect and what to do if something goes wrong. It is part of our risk assessment but goes much deeper than that. I like to think of it as a professional standard. 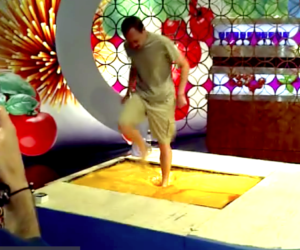 A few years ago, I was commissioned to create a vat of custard for a world record attempt on daytime television. A well-known TV chef was to do it first-time, but we had to talk him through exactly what would be happening to ensure that he understood what would be required and how to do it safely. In short, I tested it and then we had a rehearsal with the main presenter. However, sometimes the thrill of live TV can get the better of people and the weaknesses in their preparation becomes apparent. Watch and learn from this example on Australian TV recently. There is a catalogue of failings right from the start of the clip. The person leading the segment appears to be absorbed by the excitement of a live broadcast and is not paying attention to the safety of himself nor those around him. The presenters involved could have been seriously disfigured, blinded or far worse. When I see a clip like this, I worry. I worry that impressionable people could see this as the norm; that it is acceptable to take these sorts of risks. In this particular case, the mishandling of liquid nitrogen can be lethal. There are asphyxiation, pressure explosion, projectile, frost bite and slip hazards, to name but a few. 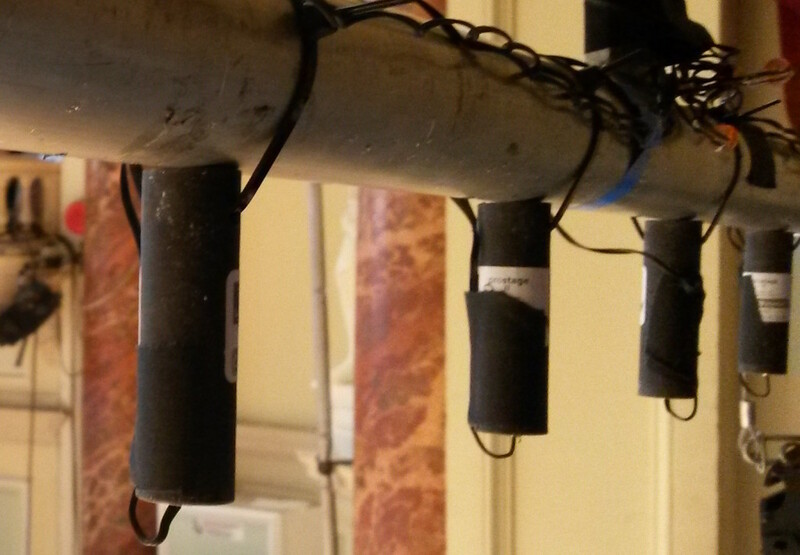 Professional science presenters work tirelessly to perfect their demos in order to carry them out slickly and safely in high-pressured, live performance situations. Sometimes they work with specialist engineers or advisers (like me!) behind the scenes. The patter and banter are all worked in afterwards. I hope that none of our Australian counterparts or crew carry any long term ill effects as a result of this incident. I also hope that TV producers and early career presenters can reflect on and learn from near misses like this. If you have ANY doubt over a demo that you or someone else is doing, please please please contact an experienced professional for help and advice. We may joke on stage, but we are extremely serious about our work. Matthew has taken to the road with LabLive17 across the North of England. 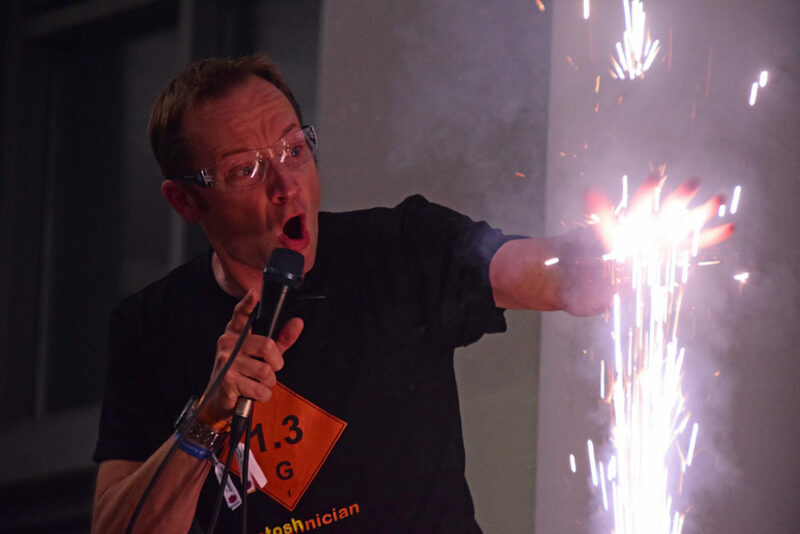 Kicking off the tour at the Lancaster Grand Theatre, Matthew launched a brand new stage show about fireworks, which looked at how STEM skills are used in creating live spectacles in the sky and on stage. 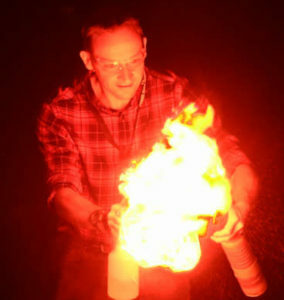 Featuring awe-inspiring pyro demos with seamless transitions between video and the live stage, the new show also involves members of the audience on stage. 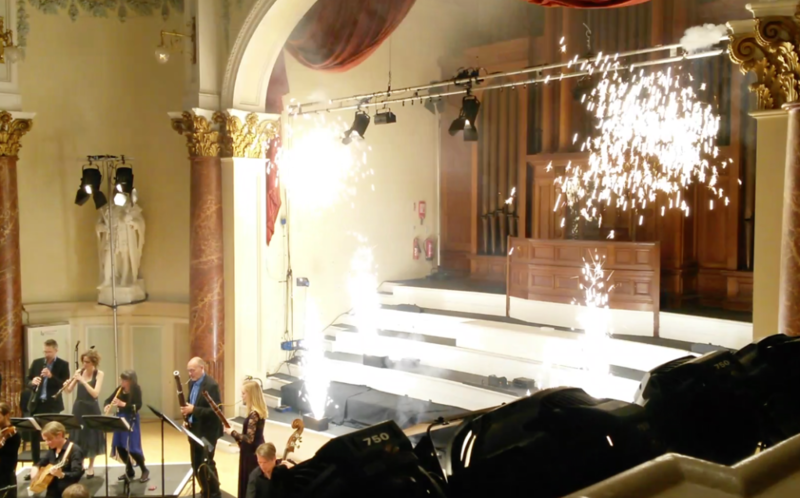 Yes, that right – young people, flames and explosives on stage together, all thanks to Matthew’s meticulous show planning and attention to safety. 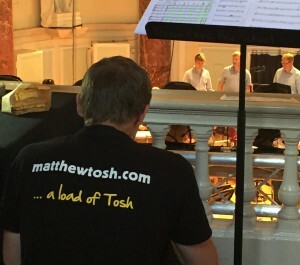 Matthew provided full Health and Safety management support for the two week tour. He presented shows in the first week and switched to H&S support for the tour in the south of England. Matthew appeared at venues in Lancaster, Hartlepool, Hull and Gainsborough. The tour was supported by EDF Energy. 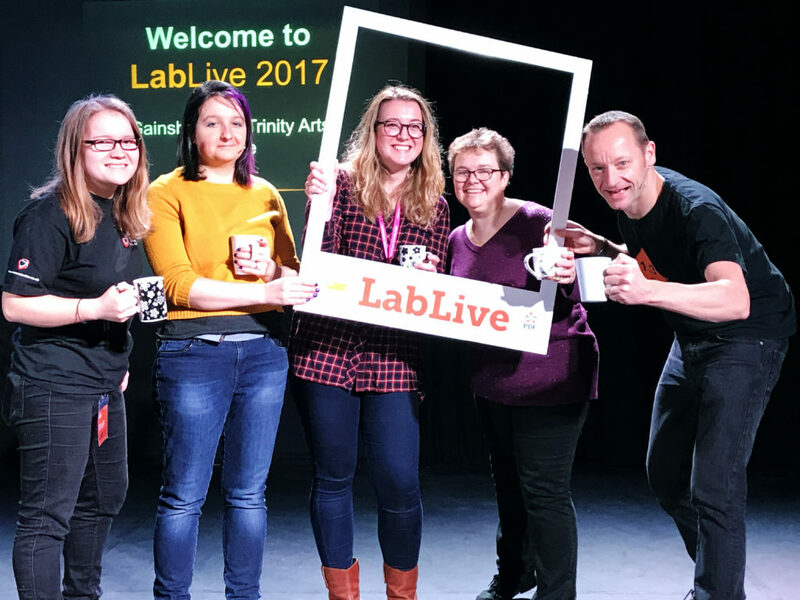 LabLive is a spectacular show for Y8&9 which brings all the fun of Cheltenham Science Festival to school audiences around the UK. 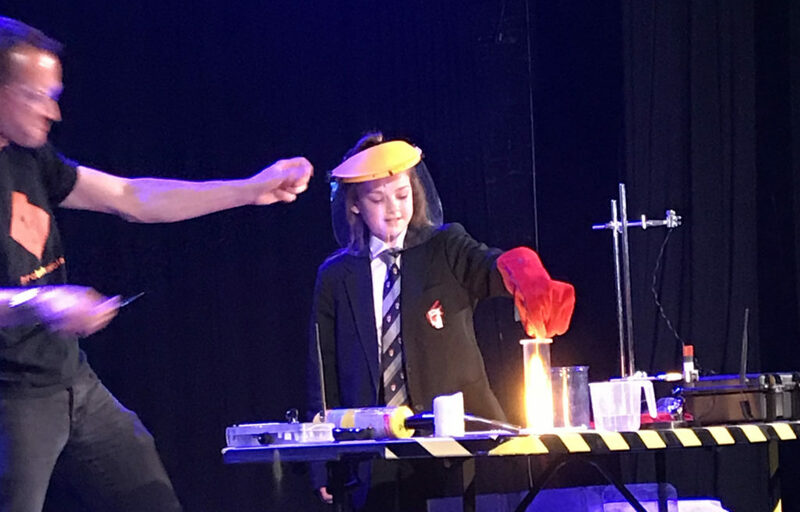 It aims to engage inquisitive young minds through an interactive show where they will learn more about the benefits of studying science, technology, engineering and maths at GCSE.